Abu Dhabi, here's a record to be proud of! 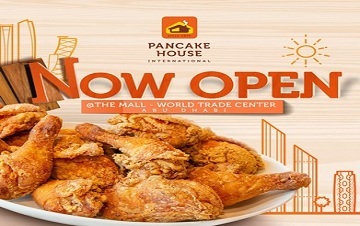 The world's biggest Pancake House opened today @WTC Mall. Come taste memories, just how Mom made it! One of the popular comfort foods among Filipinos is pancakes. And as American as the food might sound, Filipinos have managed to re-create the popular American dish into a flavor of their own which has since spawned one of their favorite restaurants, Pancake House which will soon open at the Dubai Mall’s food court area. 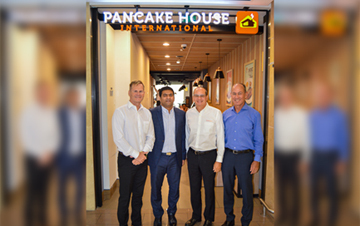 TFT sat down with Peter King, CEO, Max’s Group Inc., Sajan Alex, Vice President, Tablez Food Company, Robert Trota, President and CEO, Max’s Group Inc., and William E. Rodgers, Director and Head of International Business as they talked about their plans for Pancake House in the UAE. One undeniable fact about Filipinos is that they all love to eat, especially if it’s one of their comfort food that just takes them to a more relaxed state as they fight against the stress of work abroad. 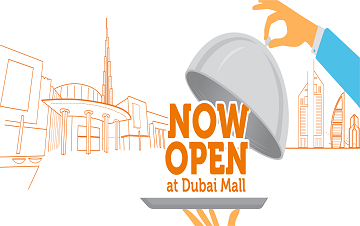 Pancakes, while usually served in the morning, are made available all day at Pancake House in the Philippines and the good news is Dubai Mall’s outlet will carry on with the same treatment: “(We will have) All day breakfast. Just to show from morning to evening we can serve breakfast. We have our special signature dishes, Pancake, pan fried chicken, spaghetti, tacos, also we have our smoked tinapa fish – which might be like smoked salmon but it would give you a different flavor and has been doing great worldwide,” the executives said. Pancake House’s management acknowledges the power and influence of Filipinos when it comes to their sense of taste in food. “You can say that they’re (OFWs/Filipinos) our brand ambassadors. They know the food and are more familiar with it,” said the officials. And while the target is primarily the Filipino community, their plan is to cater to a wider audience. 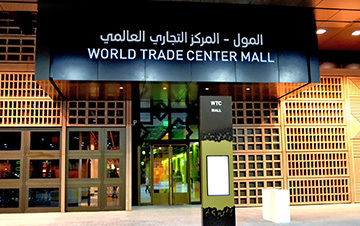 “Dubai Mall has a big customer base. We are very excited to see people visiting our store and see what we can do and how we can serve great food and give that excellent service that we’re known for. We’re looking forward to be accepted by all nationalities. It helps us to bring it to the mainstream and we’re very excited to showcase what we have,” explained the officials. 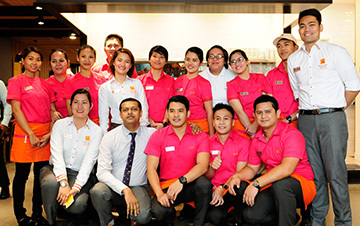 Much loved Filipino brand, the Pancake House – part of the 70-year old Max’s Group family business – that opened in Dubai last year, is all set to launch more restaurants. 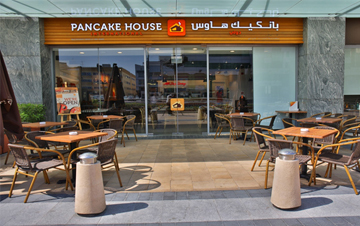 Following the first restaurant in BurJuman,Pancake House will soon open in The Dubai Mall, followed by The Mall at World Trade Center in Abu Dhabi in addition to at least two more locations in the UAE within this year. “Opening at a prime property like The Dubai Mall in the emirate will help us to cater for multiple nationalities on a daily basis. 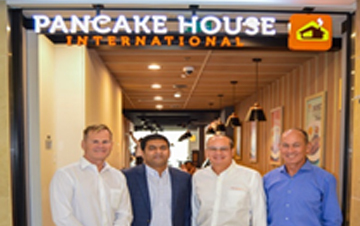 It’s a big thing to be able to introduce one of our iconic brands – Pancake House – to people from across the world visiting The Dubai Mall,” says Robert Trota, president of Max’s Group International during an exclusive interview with us. 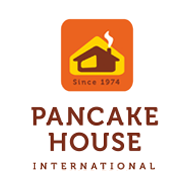 “We have seen around 500 customers a day at Pancake House in BurJuman. That’s because our price points are attractive. The food is of very high-quality,” Alex adds. Food is big business today and is likely to remain so. We had a chat with Robert Trota, president of Max’s Group International and Sajan Alex, vice president, Tablez Food Company about the future of food business. What connects Trota and Alex is the Filipino brand Pancake House belonging to Max’s Group franchised in the UAE by the Tablez Food Company. Delivery and takeaway is already a big part of doing food business. It will continue to be big, even five years from now, both agree. “In the Philippines, delivery accounts for 30% of our business. Alongside setting up bricks-and-mortar stores for dine-in, giving access to customers to delivery, take-away as well as online order and pick-up will be critical,” Trota opines. “Year-on-year the cost of doing business is going up. Our partners – brand principals, real estate developers, vendors as well as third-party aggregators – should understand that we all have to jointly contribute towards creating differentiating concepts for guests. As an industry, food service will always remain vibrant, innovative and big on identifying new trends and expand consumer base but it will require a fair bit of collaboration. We must exchange information and ideas with each other to grow and sustain,” Alex concludes.